THE NBA IS THE MOST PROGRESSIVE OF THE BIG FOUR SPORTS LEAGUES. It’s the leader in social and digital media, and it embraces the personal style and individuality of its athletes. There are few times where this is more noticeable than New York Men's Fashion Week. Muscling out pop stars and supermodels, the NBA is producing the biggest fashion influencers in men's fashion, with its statuesque players, big budgets, and flair for competition. Dressing in the NBA is about maintaining traditions with a twist, not unlike the style trends we saw in the league over the past year. As a stylist who specializes in sports, I truly believe 2015 was the year in which NBA fashion and style leapt forward. In July, the first New York Men’s Fashion Week took place. NBA athletes were everywhere: Dwyane Wade and his wife, Gabrielle Union, were mainstays at the shows, changing multiple times a day to ensure they were sporting the right clothing for the presenting designer like Tim Coppens and Public School NY; Mike Conley came correct with his stylist, making almost as many outfit changes as the Wades. Emerging athlete Chandler Parsons was at as many shows as possible, as well as launching a collection with Del Toro Shoes. Nick Young and Andre Iguodala may dress very differently, but they were both in the cut, with Young raging at after parties in a Thrasher bomber jacket and Vans sneakers while Iguodala came suited and booted in tailored designer apparel. Mason Plumlee showed up at the Grungy Gentleman show wearing the brand with Greats sneakers, while superstar athlete Russell Westbrook hosted his very own event with Barneys, alongside his usual front row appearances (and that True Religion creative director deal). The genuine interest in NBA player fashion grows every season, and given that New York will be hosting Men’s Week twice in 2016, don’t be surprised to see twice as many athletes headlining presentations and parties. Plus, with NBA players becoming more visible in the fashion world, brands are finally becoming more interested in dressing NBA players. This push to be more inclusive is seen in the size range expansion in high fashion houses Balenciaga and Christian Louboutin, who now offer up to size 15 sneakers and dress shoes—one rarely sees NBA players like Tristan Thompson or Jeff Teague without a pair on off the court. Fast-fashion brands like Zara and Asos offer extended sizing to XXL, and custom tailors like Alba and Elevee are now on call to dress NBA draftees every season. Players who previously had to shop at Big and Tall can now find endless stylists, personal shoppers, shoe concierges, and active sales associates in boutiques through social media—it’s only a DM away. New brands are using Instagram to seed NBA players gear in exchange for a post. As our world becomes more accessible online, there’s a bigger push to stand out and find unique pieces. Traditional pieces with a unique spin were a real style signature this season. The army green bomber jacket is a must-have item. Although fit is often an issue, as bomber jackets are often cropped in the sleeves and torso, and some brands, like STAMPD, are now going longer. 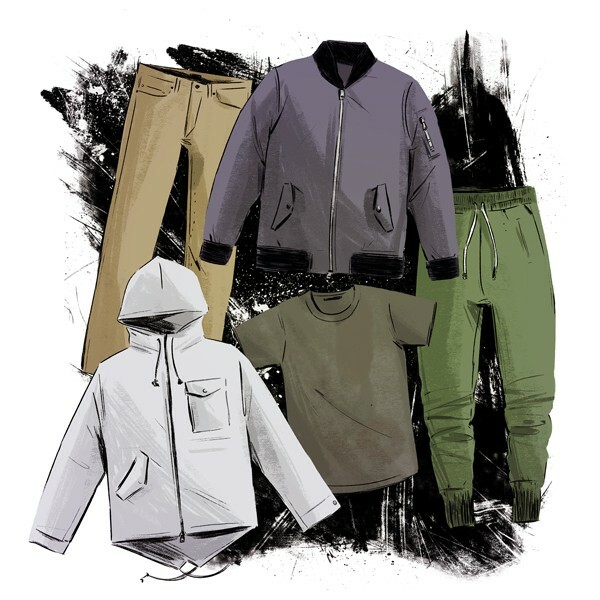 Also expect to see more bombers in 2016 out of richer materials like velvet, velour, and quilted nylon. Tracksuits are staples in the league, no matter the dress code, since players are required to wear the adidas branded team sweats. 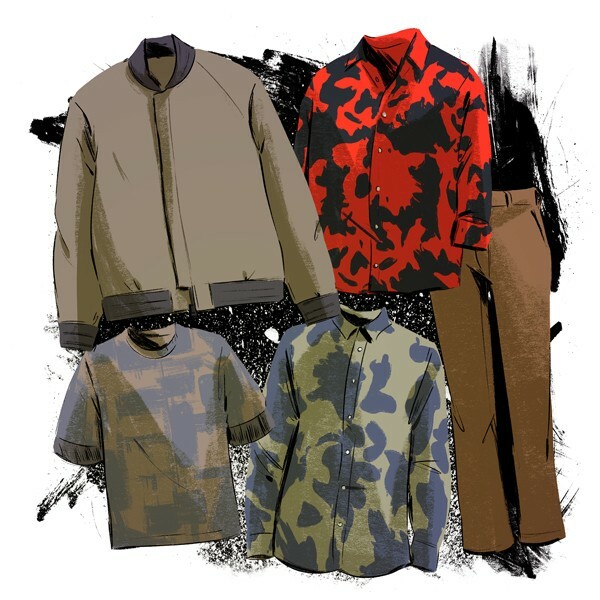 However, the 2016 version references a British grime music aesthetic, and much like the bombers, they’re being done in different textiles. Whether or not they’ll be allowed by the NBA dress code is another story (the baggy sweats and jerseys that players like Allen Iverson sported have all but disappeared since the introduction of the dress code). Tonal dressing (wearing one color head to toe) is still hot, however it’s all about balance: Try wearing a matte plain olive tee with a silk, shiny olive bomber as a little contrast in the textiles is necessary. Texturally, the motorcycle denim trend sported by young players this year like Julius Randle, Eric Bledsoe, Justise Winslow, and Brandon Jennings will likely give way to a more subtle distressed denim. Custom or athlete-designed sportswear sneakers are coming in heavy too. Westbrook has his Jordan Westbrook 0s, the aforementioned Parsons with Del Toro, and smaller brands like Collegium offer custom orders to build loyalty amongst big-footed customers. NBA style is here to stay, as it’s a league that’s always had a fashion imprint. It’s just now oft expected. Some athletes brag about dressing themselves, while others employ stylists for a competitive edge. Will other leagues catch up? Maybe, but the NBA is still leading the pack into 2016. And tons of self-anointed style experts exist on social media. However, there are few with a consistent client base and a trusted name in the NBA. We talked to a few to find out how to make NBA style a little more accessible when you don’t have a ball-player budget. Style layups for under $100? White tailored button-up (Zara has a good, affordable option) that you can dress up or down: button to the top for formal events; leave three buttons open for [date night], and roll up the sleeves for casual or daytime. Accessories: Goorin Brothers hat, Stance socks, Street Vendor arm jewelry, vintage buttons and pins. For shoes, Converse Chuck Taylors, Stan Smiths, and Vans. Fashion fouls? Ill-fitting clothes, not owning a look, trying too hard, logo belts and clothing with excessive logos, loafers with socks, one top button open on a dress shirt . 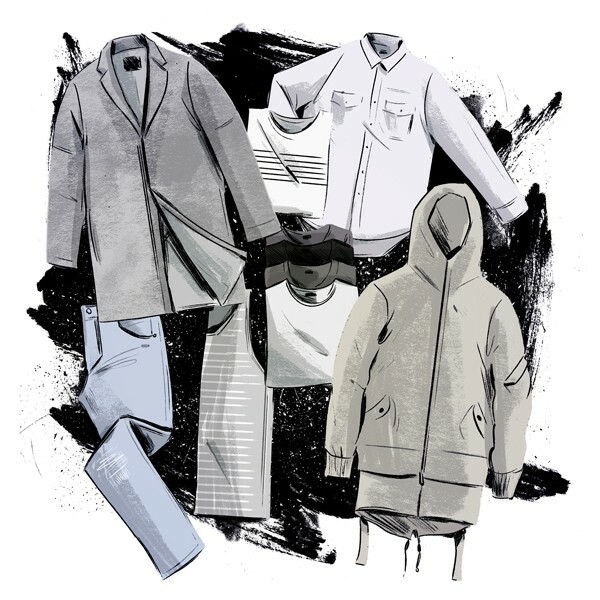 What’s the best style advice you've ever been given? I usually give the advice. The best is that the most important thing you can put on every day is confidence! Style layups for under $100? A pair of clean adidas Stan Smith sneakers take any look to a chic place. 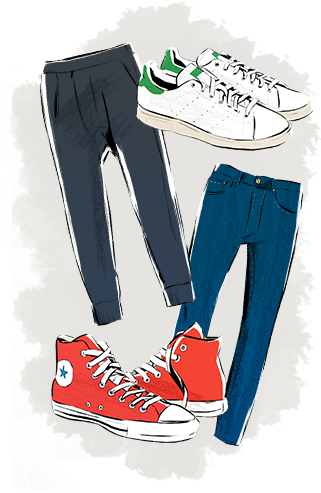 Zara denim or sweat pants are a cost-effective way to update any lethargic closet rotation. Fashion fouls? Biggest fashion foul for guys is ill-fitting suits. Baggy suits are a NO NO! Also: big belt buckles, contrast stitching on jeans, and bootcut jeans. What’s the best style advice you've ever been given? Never go beyond the moment you’re dressing the client for. Also, always have a reason “why.” It doesn't matter if it's a grey t-shirt; know why it's that grey t-shirt and not another one. Be intentional. Fashion fouls? Wearing black shoes or sneakers with white socks—only Michael Jackson can get away with that! Also: tucking in your shirt only in the front to show off your belt. I also hate when guys wear dress shoes with athletic socks instead of dress socks. What’s the best style advice you've ever been given? Don’t ever second-guess yourself—you’re in this position because they believe in you! Expect to see boxy, easy silhouettes in high-end fabrics from this Instagram favorite. NBA devotees include JR Smith, Nick Young, Amar'e Stoudemire, and Rudy Gay. In their first NYFWM, we'll see if Stampd can translate their signature bomber jackets and elongated tees to the catwalk. Coastal NBA cool guys Claude Jordan Clarkson and Nick Young are fans of the brand. Geller's mix of graphic patterns on Japanese-sourced textiles are the most fashion-forward of our four choices. Expect to see the bomber jackets, anoraks, and tees on front-row guests like Rudy Gay and Mike Conley. 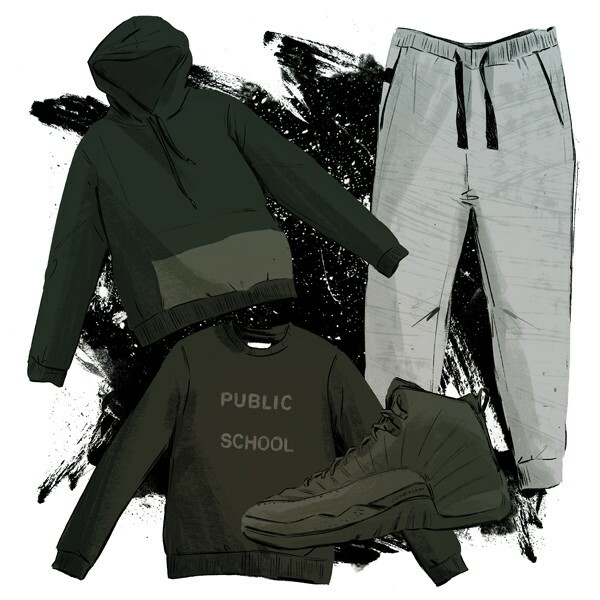 Public School had an amazing 2015, racking up design prizes, taking over DKNY, and a celebrated Jordan Brand collection. The brand’s long silhouettes make it a favorite for NBA stars like Andre Iguodala and Dwyane Wade.